Searching for an XGA DLP projector appropriate for business can be daunting - there are well over a hundred models currently in production. Some manufacturers have endeavored to stand out from this crowded field with cosmetic surgery, appealing to the user with the smooth curves of their injection-molded cases. With the PG-D4010X, Sharp has taken a different approach. They have packed a bright 4200-lumen DLP light engine into a plain square case, then added enough features to make it a stand-out value in today's market. 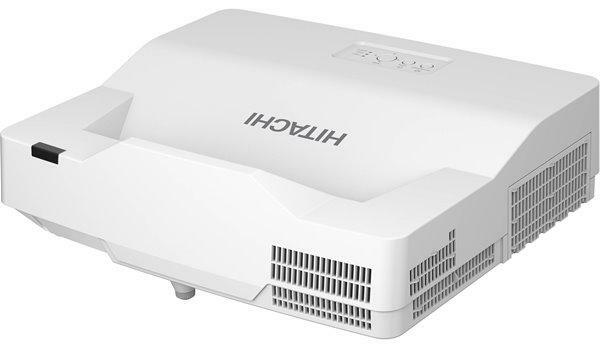 Appropriate for installation in a large classroom, conference room, or boardroom, this projector will not be winning any beauty pageants, but the picture it creates is a knockout. Brightness and Uniformity. This projector easily met the manufacturer's brightness claims, measuring 4,300 lumens in Presentation mode. We were even more impressed with its 91% brightness uniformity. Eco-mode lowers the brightness to just under 3,000 lumens, or 29%. While this is a larger drop than many other projectors, 3,000 lumens is still plenty of light for use in a classroom or conference room. Other modes increase apparent contrast and color saturation, but sacrifice lumen output to do so: Standard mode yielded 2,600 lumens, while Movie and Game modes produced 2,230 and 2,600 lumens respectively. These modes are intended for use in a room with controlled ambient light to take advantage of the contrast boost, and will look their best in a room with some light control. Audible Noise. In their specifications, Sharp publishes a claim of 35 dB in Standard and 30 dB in Eco mode, but they do not specify the distance. At 4 feet away, we measured 37.4 dB in Standard mode. This is a bit higher than the specification and might cause distraction if used in a small conference room. Incidentally, the fans were also pushing a noticeable amount of heat from the 4200-lumen light engine. In small meetings the Eco mode might be preferred; it measured a much quieter 27.0 dB. I want to buy PG-D4010X sharp DLP projector. What is the cost of product in rupees ? when I get this product ?